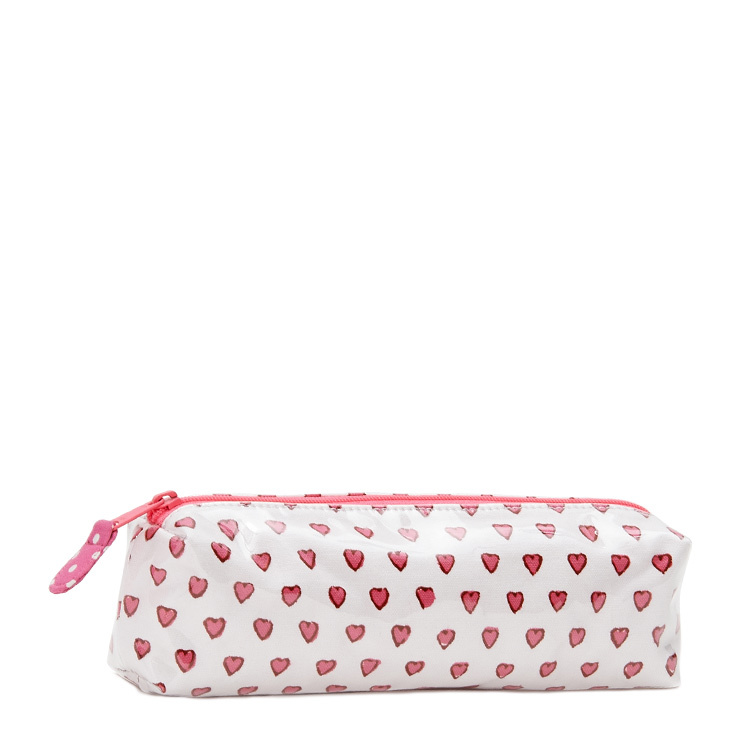 Store makeup brushes in style with Roberta Roller Rabbit Hearts Makeup Brush Case. 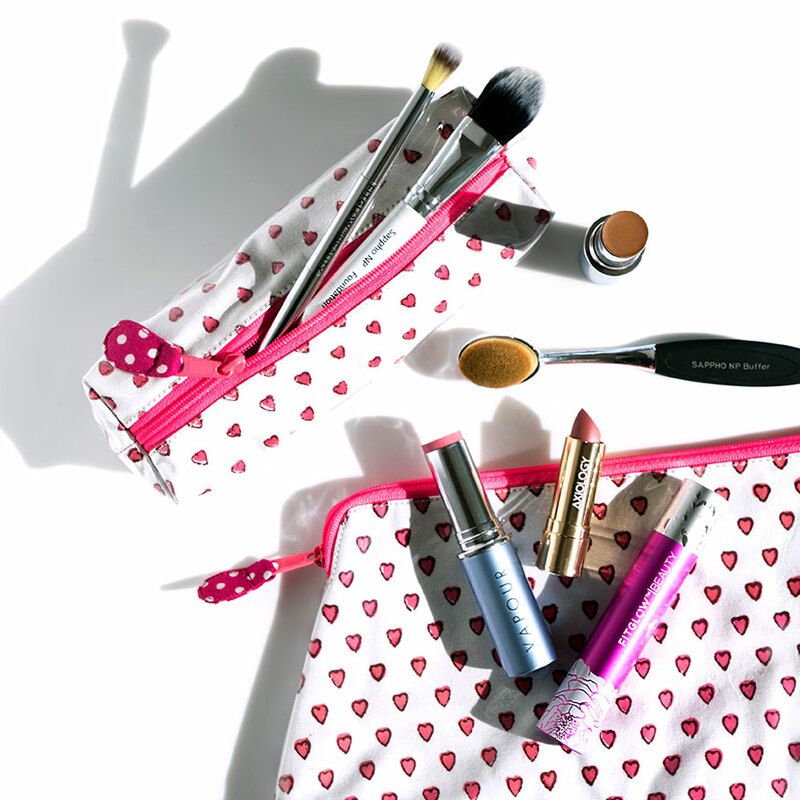 No need to search for makeup essentials, keep brushes sorted and clean with this perfectly sized bag. Wide zipper opening means easy access to items. Include lipstick, gloss, and eyeliner for freshening up during the day. Ideal for bathroom, vanity, gym bag, or travel. The adorable signature heart print makes this accessory too cute to hide. Use to store makeup brushes and other slender beauty must haves. Simply wipe with a damp cloth to remove marks and smudges.